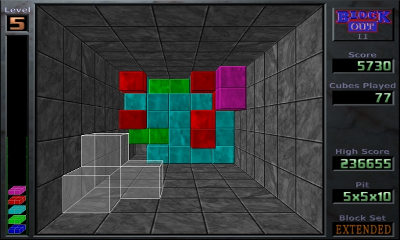 BlockOutÂ® II is a free adaptation of the original BlockOutÂ® DOS game edited by California Dreams in 1989. BlockOutÂ® II has the same features than the original game with few graphic improvements. 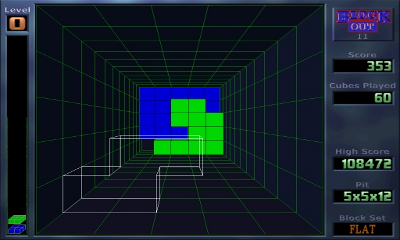 The game has been designed to reproduce the original game kinematics as accurately as possible. The score calculation is also nearly similar to the original. - Space is drop again, too now. I am sorry, but to remap with the special keys, I would have to rewrite a lot of stuff. The keymapper doesn't take them into account. Suggested remap: u, i, o for clockwise j, k, l for counterclockwise. What a great port! Thank you for sharing this.